My Dear Rabbi Column for August: Can I make her forget my bad behavior? I am generally a polite, well-mannered person. Yet I feel like my significant other keeps track of any lapse in my behavior when we are together, especially if something that I did embarrassed her in public. I was recently rude toward some noisy people when we were out in a restaurant. Now she reminds me about this occurrence whenever we go out. This makes me sad. What can I do to make her forget about this? In the personal question that you pose you do raise one of the most complex issues of human culture. Does a person have the right to have acts that he or she commits to be forgotten? If you did something that you do not want remembered, can you get it erased from the record? The answer to your direct query is there is nothing you can do to make your significant other forget your actions. Our biological memory banks are hardwired to preserve certain data in a special way. We have a prominent place in our psyches where we store information about people or events that we judge harmful to us or dangerous to our well being or survival. That includes a wide spectrum of events and facts ranging from personal acts between people to more global events and intelligence data about dangerous threats, past and present. The question you pose operates on an individual memory level. You want your significant other to suppress a particular act of yours from her memory-bank. My Dear Rabbi Column for August: Must I give back my day school scholarship? I was unemployed recently and during that period I negotiated a discount for my family’s synagogue membership and a scholarship for my children’s day school tuition. Now I have been hired to a new position with good pay, and I also made some prudent investments that have paid off nicely. Now that I got a job and a windfall do I need to inform my synagogue or yeshiva of the change in my circumstances? Legally you may be obligated to tell your institutions if that was a term specified by them when they gave you reductions in fees. But the explicit stipulation of that contingency is rare. So you probably do not have a legal obligation to inform your organizations until next year. Morally, though, you do have to step up and inform the school and shul that you can pay more of your fair share. Others will benefit from the funds that your good fortune provides. Our communities depend on you to act with generosity and compassion on every level and in every such circumstance. 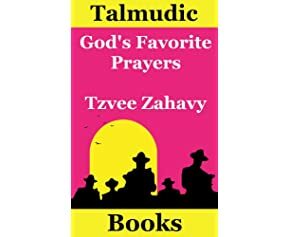 My New Book is Free Now on Amazon for Five Days, "Dear Rabbi: The Greatest Talmudic Advice"
"Dear Rabbi: The Greatest Talmudic Advice"
Shhh, Don't Tell Anyone. Deena Yellin Reviewed a New Book, "A Shark in the Mikvah"
I've taught classes at major state research universities where I described the practices of Jewish women's ritual immersions. As I recall my expositions always were met with amazed and confused stares and looks of "they-really-do-that?" disbelief on the faces of the students. Deena Yellin wrote a nice review of an appropriately zany treatment in a new book of this idiosyncratic Jewish women's ritual of immersing in a mikvah bath each month prior to engaging in sexual relations. See her review and buy the book, There's a Shark in the Mikvah! : A light-hearted look at Jewish women's dunking experiences (Kindle) . But I really can't talk any more about this. Deena quoted me as I explained why we generally don't discuss this ritual. ...most women are hesitant to talk about any strange scenarios floating around at the mikveh because in their kallah classes before marriage they were taught to keep it all on the down low. Nevertheless, the authors are gaining kudos for sharing the stories – some inspiring, some humorous and others downright embarrassing – to let veteran mikveh-goers know they are not alone and to encourage newbies to give it a shot. Accordingly shh, please don't tell anyone about this review or book. BUY NEW! Dear Rabbi: The Greatest Talmudic Advice NEW BUY! For Independence Day, noted author Ira Stoll collated for Time some of the God statements of our presidents. These proclamations are not actually theology. At best they are god talk, chatter in political settings about the divine, perhaps meant to inspire, perhaps to garner votes or support. In any case, it's nice to recall that our leaders spoke about god. Amid all the fireworks and barbecue smoke this July 4, consider pausing for a moment to reflect on the one our founding fathers called the Creator. To celebrate the publication of my new book ("Dear Rabbi"), the Kindle Edition of my previous book will be free through July 5th. Often when I go shopping or order merchandise online I feel compelled to search and search to get the very best deal. After I buy something, if I find out later that I could have gotten the item cheaper, I feel so disappointed with myself. I’m afraid I may have a bargain-hunting disorder. What can I do about this? There is nothing wrong with looking for a good deal or trying to save money when you shop. Effective negotiation in transactions is valued as a desirable skill. Frugality is considered by many to be a virtue. Some religions raised the frugality trait to an overt ethical ideal. Quakers and Puritans in America for instance have encouraged a lifestyle of modest spending in combination with helping others through charity. On the other hand, sadly we Jews are sometimes stereotyped unfairly and negatively for our frugality. Our consumer culture in America pushes us through its commercial interests towards conspicuous consumption and lavish spending as the goals of a good life. That’s obviously contradictory to any aims at prudent thrift. I don’t know if you are in the end lavish or frugal. Your problem appears to be that you feel driven to a near compulsion to get the absolute best deal on whatever you buy, be it a big ticket item or a small purchase. So let me assure you outright: It is okay to pay retail. I give you permission to do that. You do not have to always get the best price or deal on everything that you buy. That may not be a profound insight. But sometimes it helps if a neutral third party just tells you that. And if you do manage to go retail, and yet your “disorder” persists and you feel that paying retail is a personal shortcoming, something like a sin, then I have an additional suggestion to help you deal with what you perceive to be a failure in your behavior. I read about rabbis in Israel who offer cures, amulets, talismans and the like to their followers. They attend family events of their followers and give advice to businessmen. The rabbis receive fees for these services, sometimes lavish donations. Some of these rabbis have become quite rich, even multi-millionaires. Forbes has published a list of the richest Israeli rabbis! I personally think these guys are despicable con men who use religion to prey on vulnerable people in need of help. Shouldn’t we do something to stop these people? Whoa! It is hard to ask a rabbi to condemn a rabbi. On the one hand, we rabbis need to stick together. If you attack one of our colleagues, common sense dictates that we ought to step up to defend him. However, on the other hand, you are right in your inquiry. If we find that a professional colleague is a fraud, it makes good sense for us to step up to discipline him, lest our whole profession be tarnished. We rabbis derive our authority primarily from our study and special knowledge of rabbinic literature including Talmud, Codes, Responsa and yes, also from Kabbalah. Secondarily, many Jews believe that some or all rabbis have special charisma, which is power that derives from their closeness to the sacred and from their more direct link to God. This latter belief is more common in the Hasidic and Sephardic communities. And you no doubt realize that, on the one hand, if you are affiliated with any form of organized religion, that you already are paying significant amounts to rabbis for their services. Nearly all rabbis serving in a professional capacity in America are paid – some quite handsomely. You may derive personal benefits from their services. Some provide solace and counseling in a professional manner based on academic training. I assume that you have no problem with that means of livelihood and you do not consider such practitioners to be con men. But on the other hand, you may be rightfully indignant if a rabbi exploits his station to demand from his reverential flock exorbitant fees for whatever it is that he offers: presence at events, blessings, advice and the like. In this case, since you don’t seem to know directly the rabbis that you question, you need to step back and ask if you are incensed specifically about these charismatic holy men making too much money. And you need to consider what provokes you to conclude that they are fakers and charlatans who exploit the weak and helpless. There are many testimonies from their followers praising and thanking these holy men. Celebrity charismatic rabbis, who earn the big bucks for providing the cures and remedies that you dislike, also can and do alleviate much suffering among their followers. If a rabbi breaks the law by committing fraud or engages in an outright scam, you are justified to call him a con man. But if he engages in legal activities that are within the professional parameters of what rabbis do, you have little basis to label him a fake. Nevertheless, you may choose to disapprove of extremes of rabbinical activity. For a religious believer, like yourself, if you believe a rabbi's activities are outrageous, you are entitled to your subjective opinion to declare a flashy healer a fake, while you continue to deem the other more modest counselors legitimate. I do hope that you find helpful this brief Talmudic analysis and (rabbinic) advice for the day-to-day reality of our contradictory world, where one person's holy man may be another person's con man. 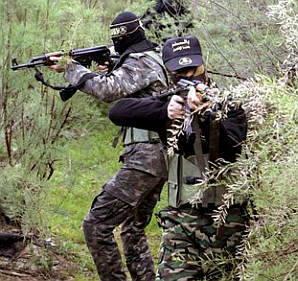 How do Islamic Jihadists try to merge religion and terror? After US forces killed Osama bin Laden in 2011 I came back to look again at the larger issues of how Islamic Jihadists merge religion and terror. Again in 2014 we confront this issue in the aftermath of terrible violence. I probed the topic back in 2006. Here are some of my questions and answers on the subject. Why have religious conviction, hatred of secular society, and the demonstration of power through acts of violence frequently coalesced in Islamic activist movements? "But it's as I said," Abouhalima responded, "at least the government got the message." Moreover, he told me, the only thing that humans can do in response to great injustice is to send a message. Stressing the point that all human efforts are futile and that those who bomb buildings should not expect any immediate, tangible change in the government's policies as a result, Abouhalima said that real change - effective change - "is not in our hands, only in God's hands." "THE FOUNDATION OF THE NEW TERRORISM" in the report of the National Commission on Terrorist Attacks Upon the United States provides additional insight and background. Will the War Against Religious Terrorism Ever End? Mark Juergensmeyer, in Terror in the Mind of God, lays out five ways that the reign of religious terror can come to an end. Let's consider each. First consider the end will come with the forceful eradication of the terrorists, what appears to have been the US response to the 9/11 attacks, continued with the more recent killing of OBL. The first scenario is one of a solution forged by force. It encompasses instances in which terrorists have literally been killed off or have been forcibly controlled. If Osama bin Laden had been in residence in his camp in Afghanistan on August 10, 1998, along with a large number of leaders of other militant groups when the United States launched one hundred Tomahawk cruise missiles into his quarters, for instance, this air strike might have removed some of the persons involved in planning future terrorist acts in various parts of the world.